You’ve had your name on the waiting list for months, you get the phone call and – yes! - you are, at last, an allotment holder. Now you need to plan. The first thing is to check over your assigned allotment to ensure all is good. Ask the council (if council owned) or site representative if any extra services are available. Some will rotavate plots free of charge - but only do this if the plot is weed free. Otherwise you will be propagating mare’s tail, bindweed and couch grass. Check the local rules and regs. There won't be anything too daunting but they should answer questions regarding bonfires, water use, upkeep and any discounts at local shops. Unclothed, an arbour adds beautiful structure and presence to any garden. Acting as a focal point, it’s somewhere for your eye to stop - a full stop in a garden design. Drape plants over your arbour and it becomes an oasis of perfume on sultry summer evenings and an enchanting hideaway to enjoy a few precious relaxing moments in a day. A place to plot, perhaps, or even engage in illicit trysts? So, get that arbour clothed right now! 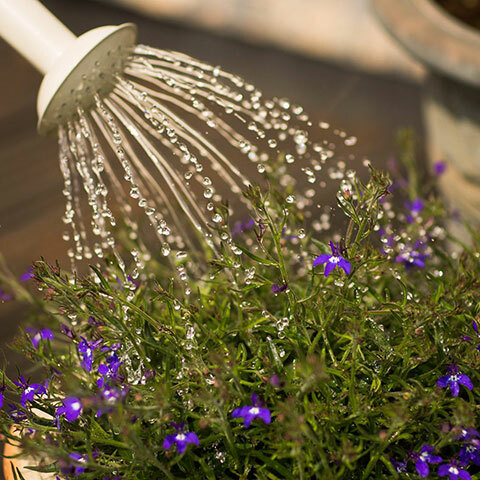 No longer do gardeners have to spend their weekends and evenings trawling through the age-hardened pages of endless magazines, or struggle with heavy, outdated textbooks just to find the answer to a simple horticultural question. In today’s world, thanks to the wonders of the internet, a quick search yields thousands of results in mere seconds. Atop Google’s results for all things flowers and vegetables? 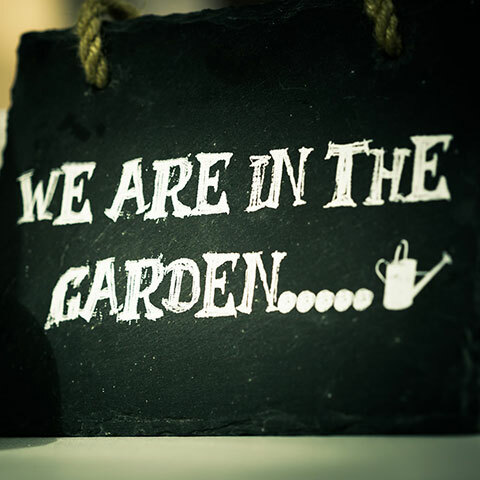 The UK’s premier gardening and allotment blogs, of course. 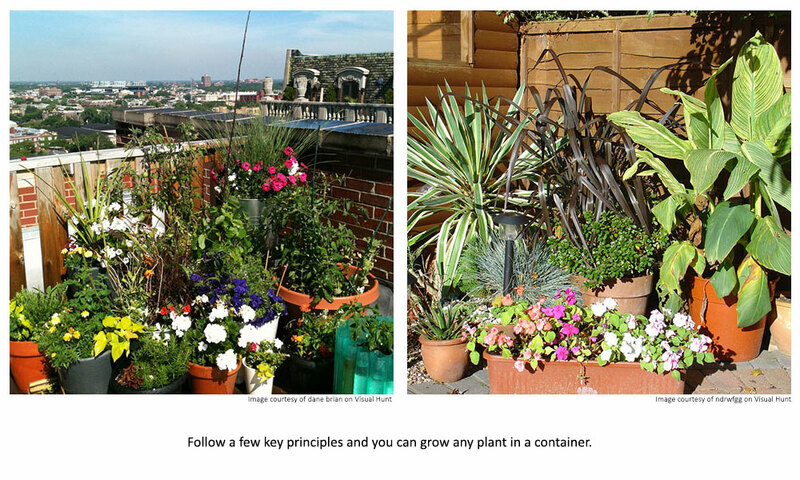 Here’s a bold statement for a sunny afternoon - any plant can be grown in a container. 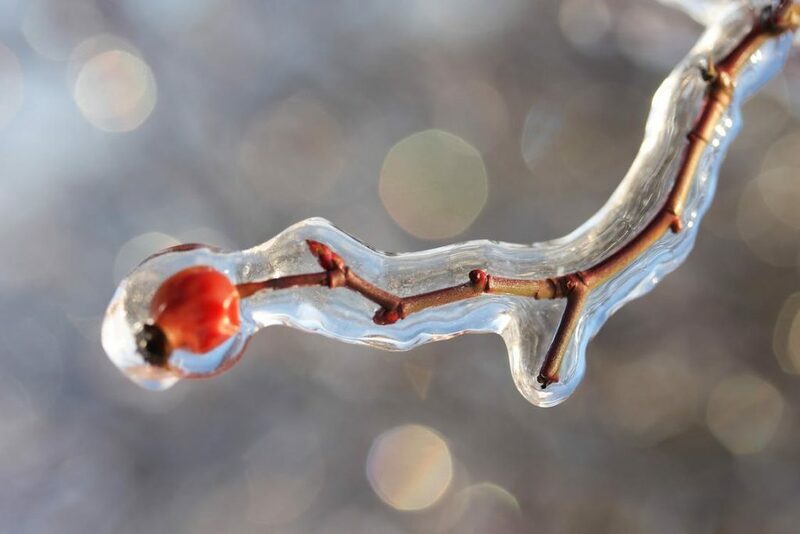 You just need to keep in mind a few gardening tips and tricks and all will be well. In fact, better than ‘well.’ They will be stunning. A painting without a frame is, well, unframed. A haircut without a slight snip to ‘take it over the ears’ is unfinished and not ready for the mirror to see the back of your head. And a garden without border edges is how the words on a page look without my reading glasses - all a slightly bit blurred. 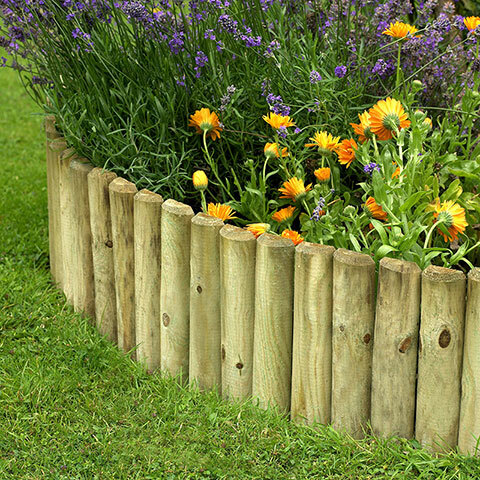 Strong borders also allow you to cut and shape your lawn or border to the exact shape you need. A line trimmer gets up close and personal to keep things tidy. 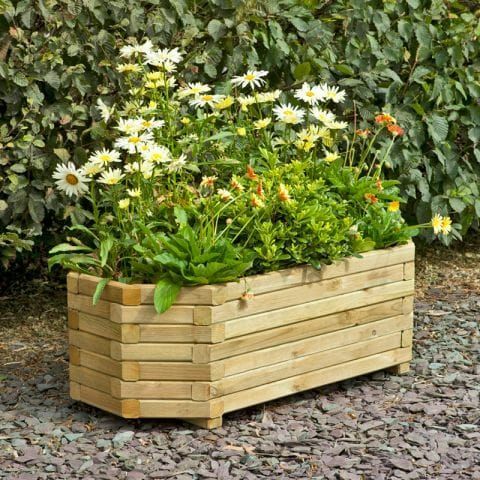 Your garden simply looks better for it. 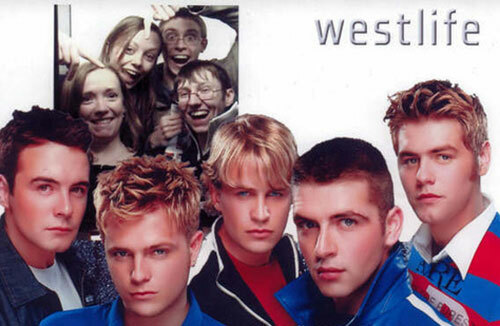 Who would have thought that a major hit in 2005 by pop-combo Westlife could be attributed to your back garden veg plot? Oh yes, I can exclusively reveal that the song ‘You Raise Me Up’ (you know the one - big ballad type affair perfect at weddings and maybe even funerals?) was inspired by the grow-your-own movement and the use of raised beds. I know it’s hard to believe, and may even shatter many emotional memories, but in these days of fake news, anything goes. And apologies if the song is now in your head or you’ve had to look it up. I love gardening and everything to do with greenhouses. However, I have to admit the best day of my greenhouse/ gardening life to date is when the team who put the structure up left and I was face to face, for the first time, with a beautiful wooden greenhouse. My beautiful wooden greenhouse. Completely empty. Walking in, closing the door and being enveloped by the evocative aroma of wood and luxuriating in the vast emptiness of the area is a memory that will never fade. Time to breathe, think and plan. The acres of benching, the glorious expanse of unfettered flooring (concrete slabs) and achingly clear headroom. No plants, no pots, no canes, wires or string. Just a dream. As you sit in your shed with a welcome cup of tea after a tough session on the allotment, you might spare a thought for the humble bee. These days, bees are having it pretty tough and their numbers are falling dramatically. What has this got to do with you, you may ask? Well, bees play a crucial role in the natural world and without them it would be a very different place. The importance of bees cannot be underestimated. They are pollinators and, as such, make an important contribution to the natural reproduction of plants and crops; meaning they are a vital link in the food chain. Without bees, about one third of the food we eat would not be available. In fact, about 70 crops in Britain depend on or benefit from the attention of bees. Allotments are a fun and good way to supplement your larder with healthy, fresh food. But they are also hard work so you want to be sure of getting the best results from your efforts. 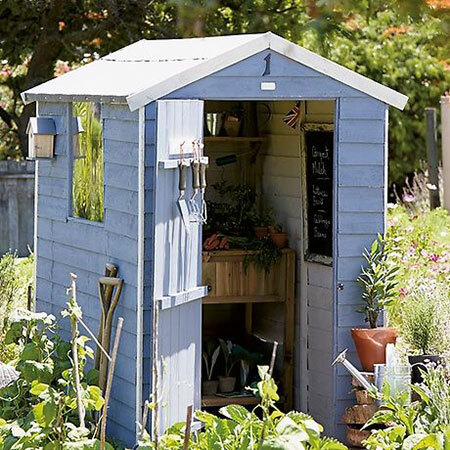 The key is to plan ahead; and a great way to start is to sit down with a cuppa by your allotment shed with a notebook or calendar and prepare a to-do list. As you survey your allotment it’s important to remember that you must rotate your crops, preferably on a three-year cycle. Growing the same crop in one place year after year depletes the nutrients absorbed by that produce and encourages the spread of diseases particular to the crop. You should also stagger when you plant each crop to avoid having all of the same produce becoming ready at the same time. Finish cleaning up and digging bare areas. Finish planting fruit trees and bushes. Plant onions.